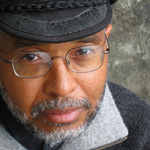 Clyde W. Ford is a mythologist, trained psychotherapist, and sought-after public speaker. He’s also a critically acclaimed author of nonfiction and fiction. He writes the Charlie Noble Mysteries, suspense thrillers set in the Pacific Northwest. He’s been a guest on the “Oprah Winfrey Show,” NPR, and other radio and television programs around the country. Clyde lives in Bellingham, Washington. He writes aboard his 30-foot Willard trawler, and cruises the waters of the Inside Passage.